Are you prone to fall or concerned that you may fall? Do you want to continue to live independently in your own home? Would the assurance that you could get help from anywhere in your home (24/7, 365) provide peace of mind to you and your family? Do you take more than four medications daily? Have you been diagnosed with Heart Disease, Stroke, Pulmonary Disorders, Cancer, Parkinson’s Disease, Osteoporosis, Diabetes, or Arthritis? Are you using a cane, walker, or other assistive device, to navigate in your home? Are you receiving assistance with meal preparation, bathing, dressing, or restroom needs? Have you been hospitalized or to the emergency room within the past 12 months? Although this list is brief, it is packed full of potential threats to your well-being. It can be used as a self assessment tool to help you to identify any need that you may have for a medical alarm device. Since each person’s health and situation is different, you should feel free to contact and consult with a trusted healthcare professional on this matter. 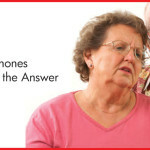 Typically, your need for a medical alarm service is dependent upon your health and your ability to remain independent. If you feel it is time to establish a Personal Emergency Response Service, PERS, give us a call at 573-334-SAFE (7233) or toll free at 877-449-5566. Could you get Help, if it happened to you? https://www.aroundtheclockmedicalalarms.com/wp-content/uploads/2015/09/testimonies.jpg 460 960 Linda Bass https://www.aroundtheclockmedicalalarms.com/wp-content/uploads/2018/10/logo-300x72.png Linda Bass2017-07-01 10:56:392018-05-09 10:41:40You Don't "Have to FALL" ... to be "Alarm Appropriate!" 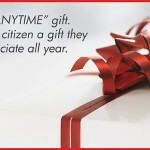 Cell Phones Aren’t the Answer Great ANYTIME Gift Idea!